If you’re an avid watcher of Bryan Fuller’s Hannibal (as we are), then we have some bad news: Michael Pitt, who plays the psychopathic rich kid Mason Verger, won’t be back. That doesn’t mean his character is gone, though. 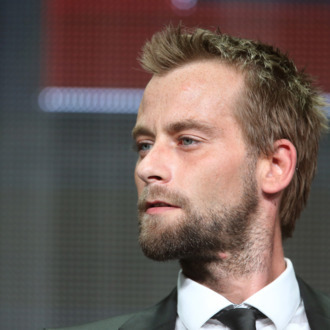 TVLine reports that Joe Anderson (pictured here), who comes to us from TV shows like The River and The Divide, will take his place. Hannibal fans know that Mason’s face is now virtually unrecognizable (I mean, remember what happened?) so it will be a matter of the kind of vocal and physical tics he brings. Either way: Bring on season three! We’re starving.